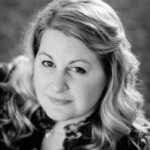 The Deceptive Cadence blog tour makes a spot with us! Not only is there another giveaway to offer you, but we also have an exclusive character interview for you! Before this, what have the hardest decision you’ve had to make? Before going back in time? Um, I’d say travelling so far to go to University. I was scared to go clear across the country, but I needed it after all the drama in high school. I needed a fresh start. Has your idea of happiness changed after loss? Yes. I think sometimes we get so caught up with being better, or right we forget the important things. Seeing Austin and Melody dead reminded me of what really matters most; my family and the people I love. I realized that without them, nothing had much meaning. Is there any slang that you are going to bring back with your second chance? Or dread hearing again? Ha ha, I don’t know. I do say things that are so out of time though, so I have to be careful not to fall into too many bad habits. I’m not sure. I don’t think there’s one person out there for anyone, if there was, then what happens if one dies before they meet? Or they never have a chance to meet? Or if they do meet, they’re not in the same place in life and don’t notice each other? I think there are people out there who can become our soul mates if we choose. I mean, if I never chose to move to Perth, I never would have met Austin. I believe our soul mates come from the choices we make, not destiny. Or maybe I’m just thinking too much. Time travel story… hmm… well, Geri and I like having girl’s nights and watching eighties greats, and Back to the Future is a repeated favorite. Oh, and Bill and Ted is pretty great too. Before the accident, what would have been your one do-over? Geri. I love that girl like nothing else. There’s never been a truer friend than her. Even Lyla and Tara don’t quite meet her standard. I missed her every day after we fought, and wished I knew what I did. She’s definitely top priority for my do-over. Besides the obvious of being given a second change what is your favorite thing about going back? Seeing my teen years with a fresh perspective! Who wouldn’t want that? Then of course, I’m so excited about falling in love with Austin all over again. Being married is wonderful, but the beginning, when you first start dating, is exhilarating. Everything is new, and full of energy, and Austin was such a gentleman. I was so lucky to have him. Thrust back eleven years, she now faces the ordeal of high school all over again. But this time, she’s armed with all the knowledge of her adult life and the determined to do everything better, from preventing the loss of her best friend to avoiding her original, drama-inducing boyfriends. She’s focused solely on Austin, her future husband, and is content to bide her time until she meets him again. 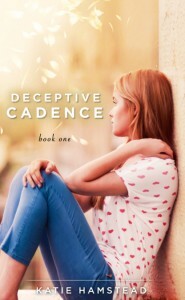 Get Deceptive Cadence from Amazon.